This Labor Day weekend, spare some time out of your vacation to experience one of Myrtle Beach's signature hospitality and tourism events. From September 2 to 4, visit Broadway at the Beach's Welcome Center and Pavilion Park Central and find yourself immersed in one of the best and most inventive food and beverage extravaganzas featured along the Grand Strand. 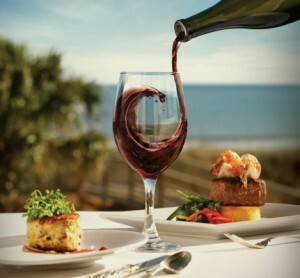 For its seventh year, Coastal Uncorked Food, Wine, Beer, and Spirits Festival will give visitors the chance to sample and vote on original concoctions, take part in various beer and wine tastings, and indulge in decadent desserts. The fun gets started on Friday, September 2, from 6-9pm. Kicking off the event is Chocolate Under the Moon, which is sure to satiate the dessert lover in us all. Sample scrumptious desserts while you groove to the sounds of the live music provided on site. This intriguing event will feature a competition between the area's best bartenders where they will square off to win your vote for the best moonshine cocktail. Saturday's main event is back for its third year and showcases all the best in beer! The Brews N' the Beach Craft Beer event will take place from 4-7pm, and guests will have the opportunity to enjoy samples of rare, specialty, and craft beers from all over the United States, live music entertainment, food from area vendors and a souvenir beer tasting glass. Bringing Coastal Uncorked to a closed is the Grand Wine Tasting Tent, which will be featured on Sunday from 1-5pm. This event will showcase samplings of an assortment of wines from all over the nation, one Boar's Head Brand sample plate, live music and a Coastal Uncorked souvenir wine glass. Tickets are now on sale and are limited! Visit www.CoastalUncorked.com for more details and to purchase your tickets for this epic Labor Day Weekend event!